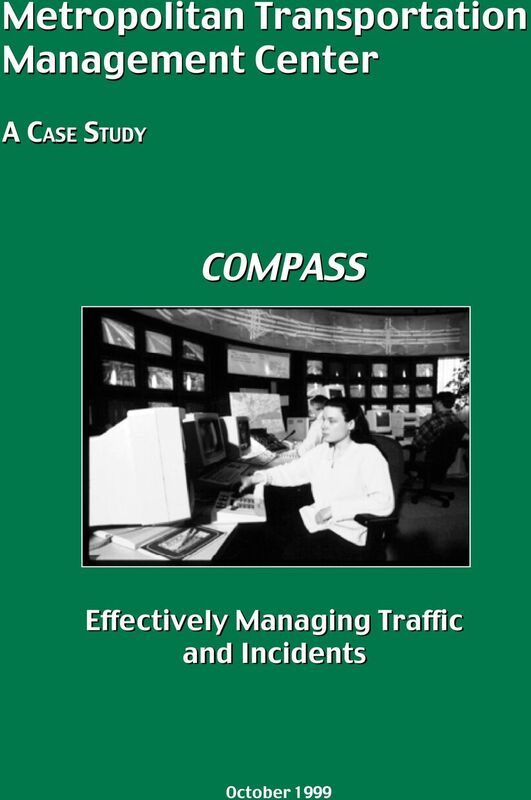 Download "Metropolitan Transportation Management Center A CASE STUDY COMPASS. 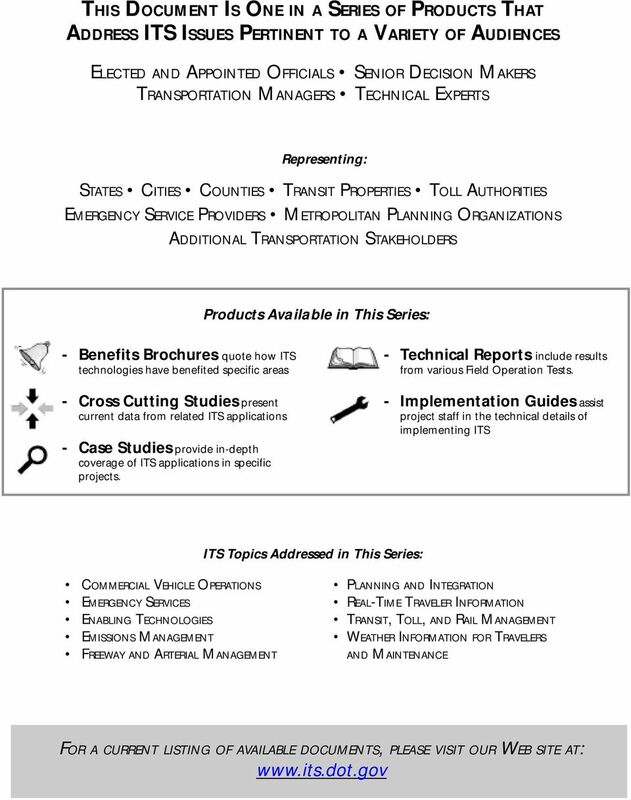 Effectively Managing Traffic and Incidents"
2 Foreword Dear Reader, We have scanned the country and brought together the collective wisdom and expertise of transportation professionals implementing Intelligent Transportation Systems (ITS) projects across the United States. 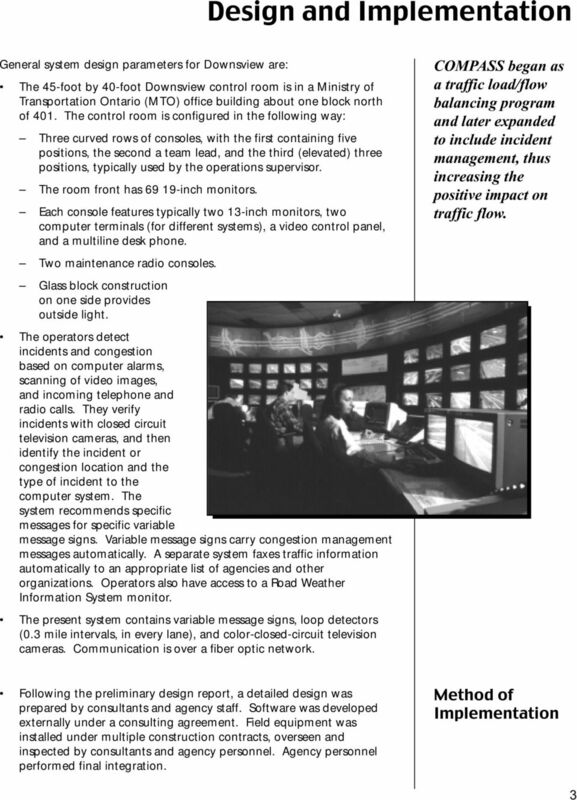 This information will prove helpful as you set out to plan, design, and deploy ITS in your communities. 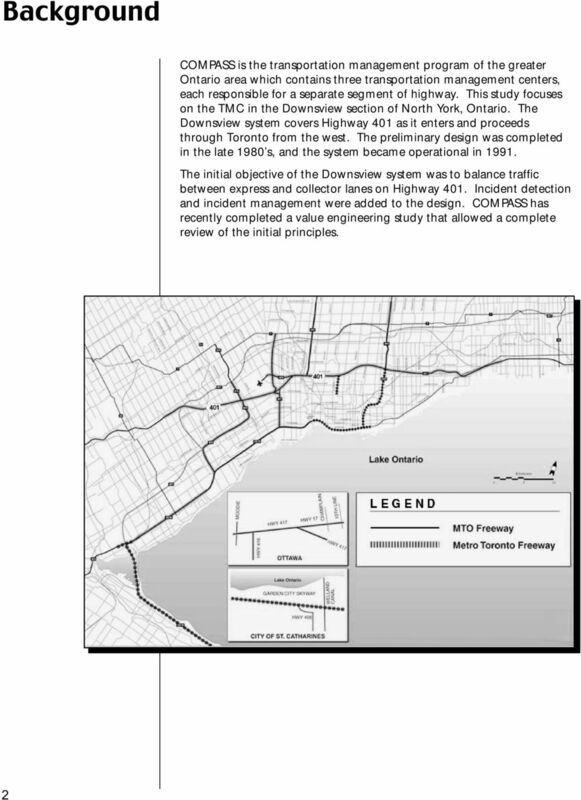 This document is one in a series of products designed to help you provide ITS solutions that meet your local and regional transportation needs. We have developed a variety of formats to communicate with people at various levels within your organization and among your community stakeholders: Benefits Brochures let experienced community leaders explain in their own words how specific ITS technologies have benefited their areas; Cross-Cutting Studies examine various ITS approaches that can be taken to meet your community s goals; Case Studies provide in-depth coverage of specific approaches taken in real-life communities across the United States; and Implementation Guides serve as how to manuals to assist your project staff in the technical details of implementing ITS. ITS has matured to the point that you don t have to go it alone. We have gained experience and are committed to providing our state and local partners with the knowledge they need to lead their communities into the next century. 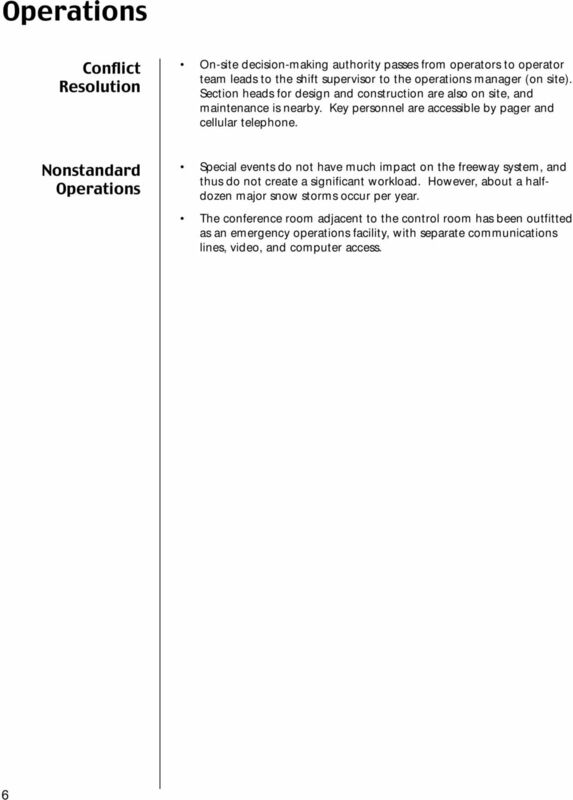 The inside back cover contains details on the documents in this series, as well as sources to obtain additional information. 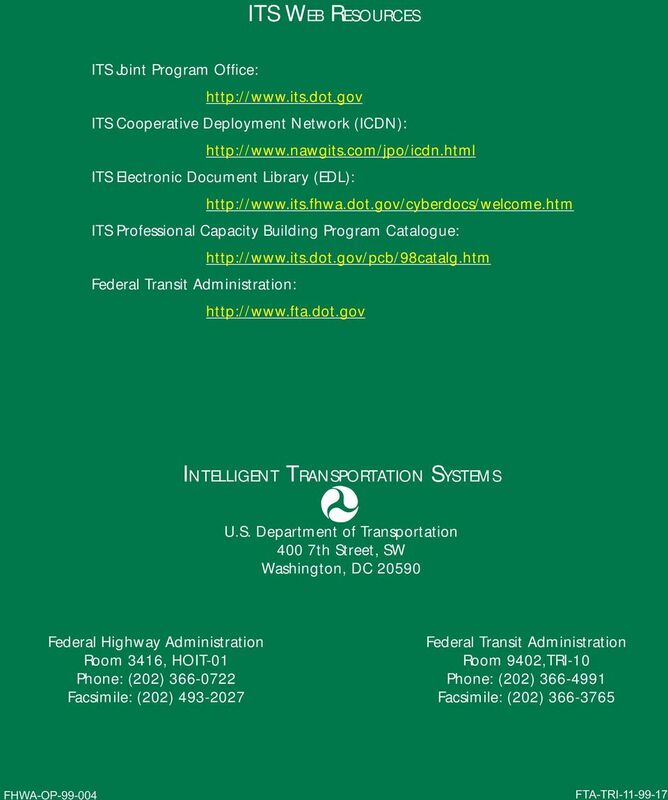 We hope you find these documents useful tools for making important transportation infrastructure decisions. 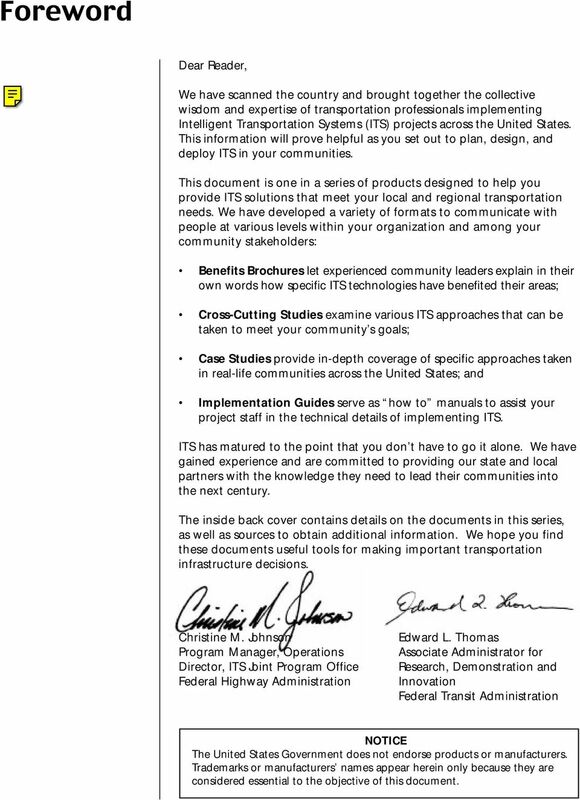 Christine M. Johnson Program Manager, Operations Director, ITS Joint Program Office Federal Highway Administration Edward L. Thomas Associate Administrator for Research, Demonstration and Innovation Federal Transit Administration NOTICE The United States Government does not endorse products or manufacturers. Trademarks or manufacturers names appear herein only because they are considered essential to the objective of this document. 6 Design and Implementation Testing Consultant and agency personnel do testing at the manufacturer s site and after field installation. Agency personnel perform operations readiness testing. Training Operator training is primarily on the job. 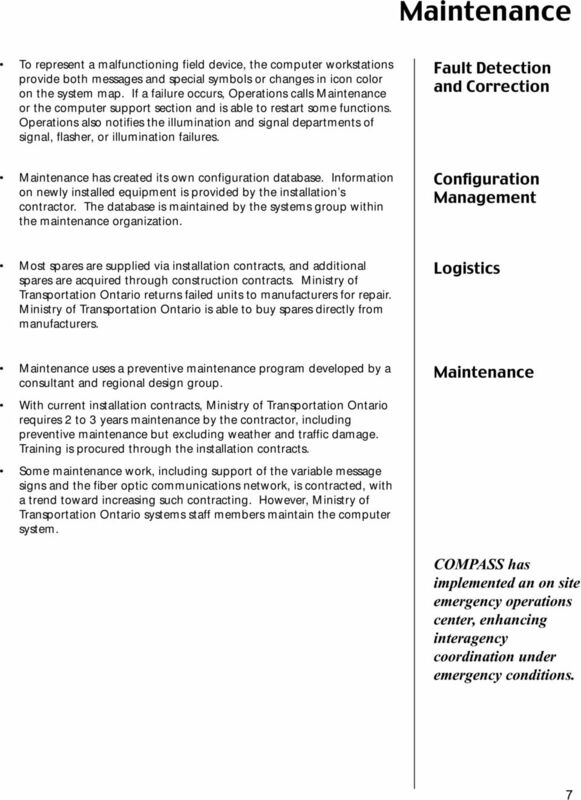 Additional training is provided when system expansions occur and when operational procedures change. 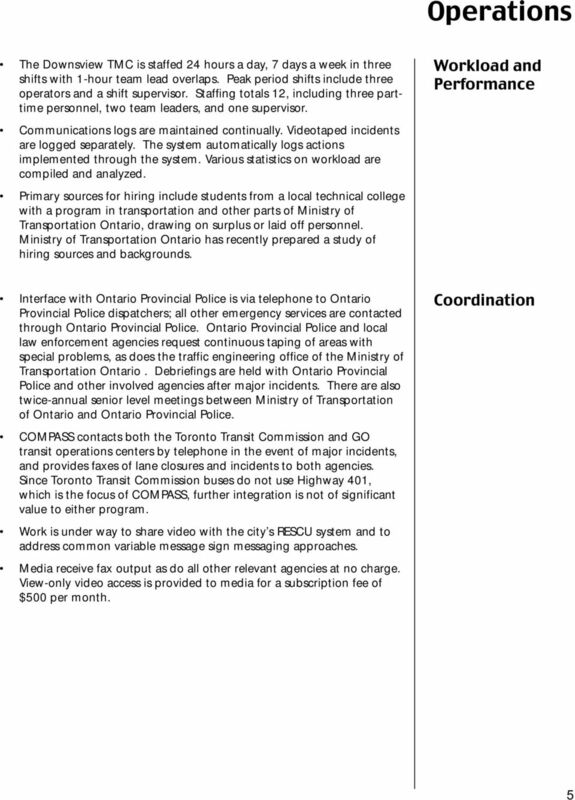 New operators are assigned to work briefly with maintenance and at Ontario Provincial Police dispatch. 4 Documentation Provincial and metropolitan governments continue to develop ways to increase integration and coordination between COMPASS and RESCU operations. Operators are provided an operations procedures manual that contains information on: System purpose, background, objective, and overview Job descriptions, conduct, security, shift start and end procedures Changeable message sign operation and policy, incident detection Closed circuit television cameras and taping Detector placement, use of computer terminals and Road Weather Information System TRIS (traveler and road information system) policy Driver and vehicle terminal, communications, and incident management protocols Media, general public, Ontario Provincial Police liaison, and liaison with other COMPASS and Ministry of Transportation Ontario staff Radio system protocol, hardware failures procedures, phone directory, and use of operational documents. 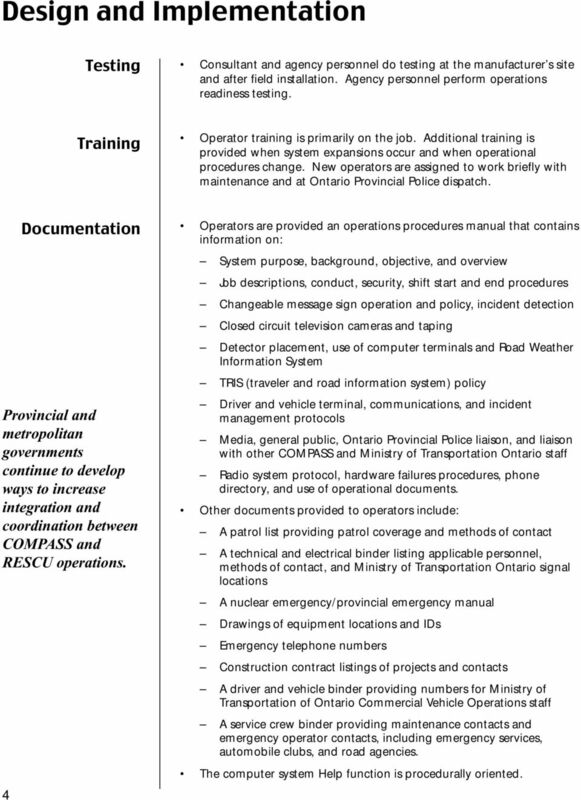 Other documents provided to operators include: A patrol list providing patrol coverage and methods of contact A technical and electrical binder listing applicable personnel, methods of contact, and Ministry of Transportation Ontario signal locations A nuclear emergency/provincial emergency manual Drawings of equipment locations and IDs Emergency telephone numbers Construction contract listings of projects and contacts A driver and vehicle binder providing numbers for Ministry of Transportation of Ontario Commercial Vehicle Operations staff A service crew binder providing maintenance contacts and emergency operator contacts, including emergency services, automobile clubs, and road agencies. The computer system Help function is procedurally oriented. Your Rights Under. Retiree Life Insurance Program WE ARE BNSF. Mission: Organize and coordinate the transportation of all ambulatory and non-ambulatory patients. Arrange for the transportation of personnel and material resources within or outside of the hospital. FACT SHEET. Language Assistance to Persons with Limited English Proficiency (LEP). Nothing in this job description restricts management s right to assign or reassign duties and responsibilities to this job at any time. Quality and Productivity Commission 22 ND Annual Productivity and Quality Awards Program Date of Implementation/Adoption: March 2006 Project Status: Ongoing One-time only Did you submit this project before? 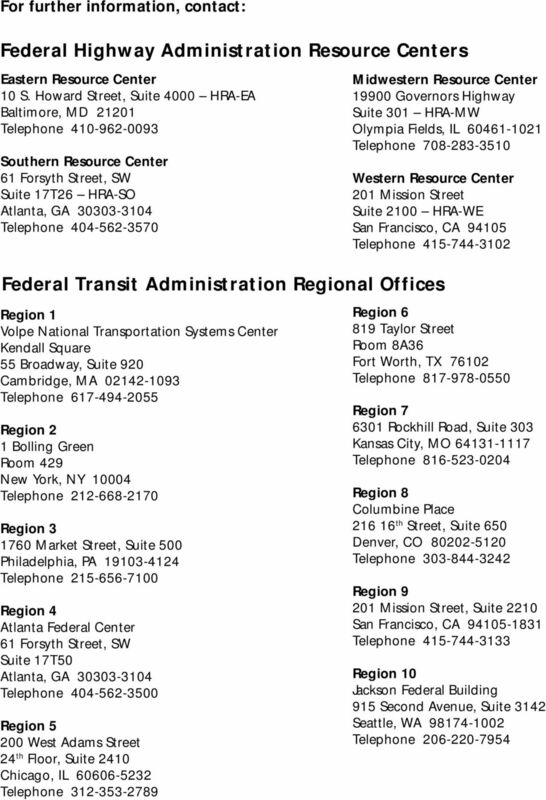 City facilities that are currently part of the System are listed below. Other City facilities may be added in the future.